Diébédo Francis Kéré has designed a microcosmos bringing Africa’s strong sense of community and liberty to London’s Kensington Gardens using experimental construction techniques in the 2017 Serpentine Pavilion. Born in Gando, Burkina Faso, Kéré graduated from Berlin Technische Universität with a degree in architecture and founded his studio in the city in 2005. He identifies his own personal history in Africa and Europe as the source of his profound awareness of the social, environmental and cultural implications of design and the role of architecture in mediating between the important aspects of community, ecology and economy. 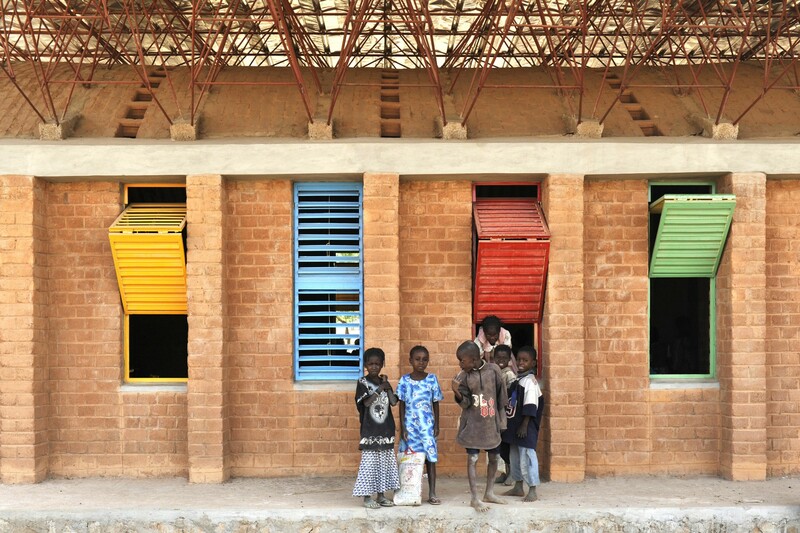 The 2004 Aga Khan Award for Architecture and the 2009 Global Award for Sustainable Architecture are only a couple of the awards presented to the architect for his school campus in Gando, Burkina Faso. Francis Kéré started working on the project in 2001, when still at university in Germany, and got the entire community of Gando involved in it, continuing the project in subsequent years by expanding the school and providing housing for teachers. Inspired by a common habit in Burkina Faso, Francis Kéré’s Serpentine Pavilion will be an ideal tree where people can get together for a variety of activities. The architect has designed a big roof supported by a metal structure with wooden shades, covered with a clear skin. The roof is raised above the side walls and open in the middle to collect rainwater: a symbolic element recalling the importance of water for life.